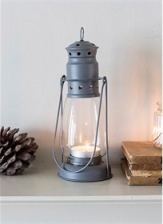 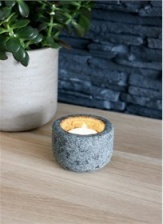 The larger miners lanter in a gorgeous Charcoal colourway is perfectly portable and ideal for lighting up the garden or outdoor dining table on a dark evening or warm summer nights. 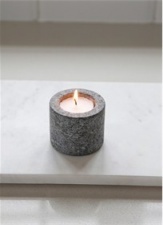 Crafted from powder coated steel and fitted with a glass enclosed cylinder, it is ideal for both indoor and outdoor use. 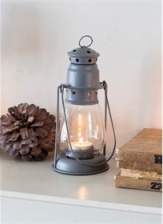 Simply place a tea light inside and its easy carry handle can be used to hang the lantern on a hook or tree in the garden, or even carried from the garden to the house.